Completely romantic and totally bridal, this dreamy A-line gown is stunning. This lace and tulle over regency organza wedding dress features off-the-shoulder straps and an updated pointed sweetheart neckline. A full lace hem on the skirt gives this dress a romantic sensibility. The corset-style bodice is available with buttons under a zipper closure or as a lace-up for an even more traditional look. 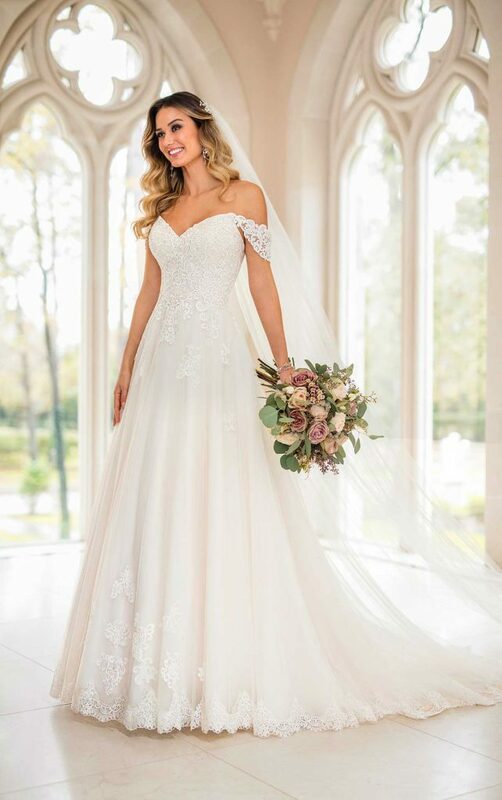 This stunning A-line wedding dress is also available in a range of sizes including plus size.